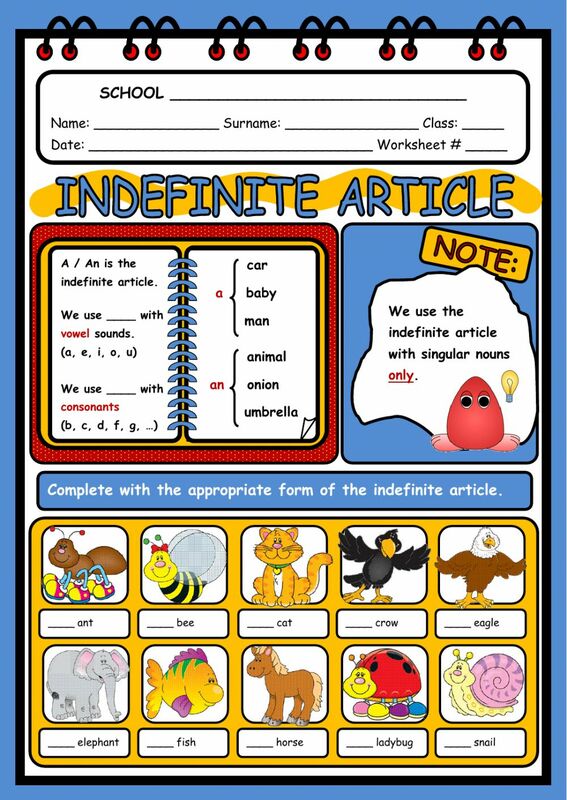 SS LEARN ABOUT THE INDEFINITE ARTICLE AND ITS USE. THEN, THEY COMPLETE AND EXERCISE ABOUT ANIMALS. Copyright 10/20/2016 Evelina Aguiar. Publication or redistribution of any part of this document is forbidden without authorization of the copyright owner.